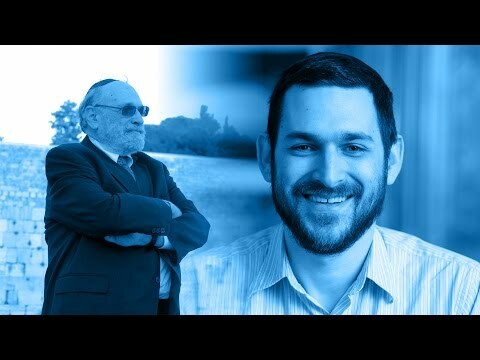 TEANECK, N.J. — From the moment Alvin Reinstein of Teaneck enrolled in the Rabbi Isaac Elchanan Theological Seminary at Yeshiva University almost four years ago, his son, Sam Reinstein, knew everything that was about to happen was going to be a pretty big deal. "It's so rare for adults to come back, especially after they retire," said Sam, 27. What's even rarer, though, is the fact that the father and son graduated from the program in the same class on Sunday — a first in RIET history. Sam finished the program in 2014 and his father in January. Sunday's celebration combined three years-worth of students — precisely 130. "People tend to go into learning about their lives and heritages when they’re young and strong-willed and have the time to be able to really sit down and try to understand where they're from," Sam said. "My father shows it’s not something that stops when you’re 27 — you can continue when you’re 66." Sam had followed in his father's footsteps at Yeshiva University, where Alvin, 66, graduated from with a mathematics degree almost 40 years prior. Sam did the same, but things changed a few years later. Alvin, the son of Holocaust survivors, had retired from a 32-year-long career with the New York City Housing Authority around the time his son began the RIETS program. His wife retired a couple years later, and Alvin decided it was time for a change. "He had enough of just sitting and doing things at home," Sam said. "He decided to join me." Being in class with his father was an interesting experience for Sam. "It's not so common to see your parent in a school setting, or really any other setting other than the one at home," he said. "I helped him through the process because coming back to school after 40 years or so isn’t necessarily so easy." Sam says his father was always on time, always took notes and always at in the front. It was interesting for him to see that side of his father — a side he otherwise wouldn't have known, he said. Sam said he needed to become ordained for his career. His father did not. "Finding out who you are and where you come from is a never-ending process," Sam said. "While the goal [of the program] is to create rabbis, it's also to create knowledgable people of Jewish tradition. Hopefully some of them impact the community."